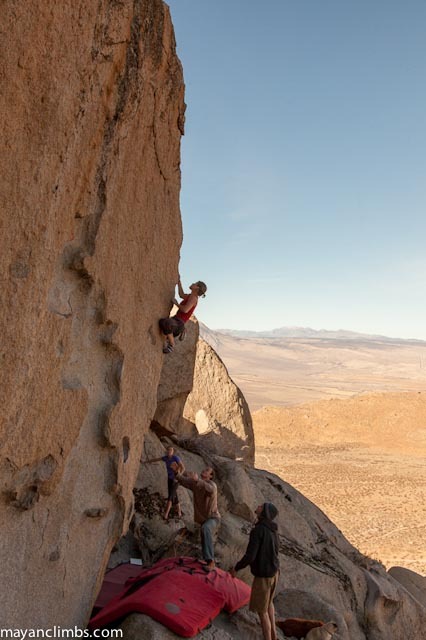 Desert, mountains, beautiful boulders, psyched friends and endless splitter days... What more could one ask for? This pretty much sums up my stay in Bishop! 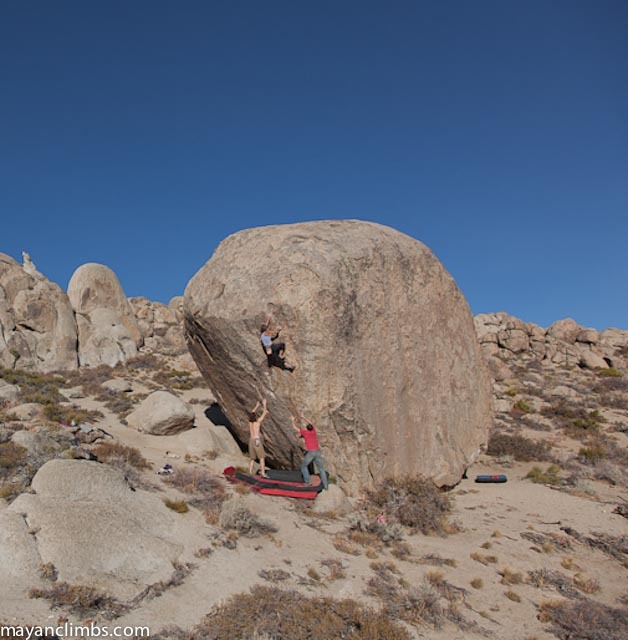 After barley bouldering at all for the last five years, over the last month in Bishop I really discovered the joys of bouldering. The simple pleasure of doing a short sequence of moves, being able to focus purely on individual movements. That said, I was most attracted to the big, bold and strikingly beautiful lines, which are relatively abundant and are what Bishop has become famous for. I loved the commitment and mental control these highballs require. Some of which verge on route length and blur the line between highballing and soloing. Many would definitely be bolted in many other places around the world. 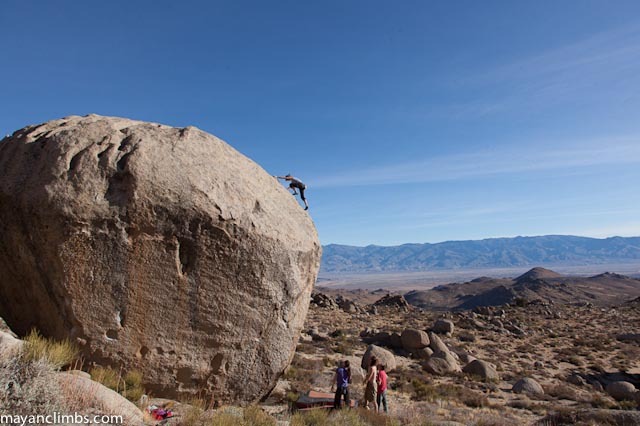 I loved my time in Bishop and climbed many amazing boulders. However, for every problem I climbed, I added several more lines to my "to do" list. I am excited to return, hopefully with a little more strength and skills next time - There are several lines which I very motivated to climb! However, now that I have committed to leaving and heading to Spain - The motherload of limestone, I feel totally ready to move on and am looking forward to climbing routes again. 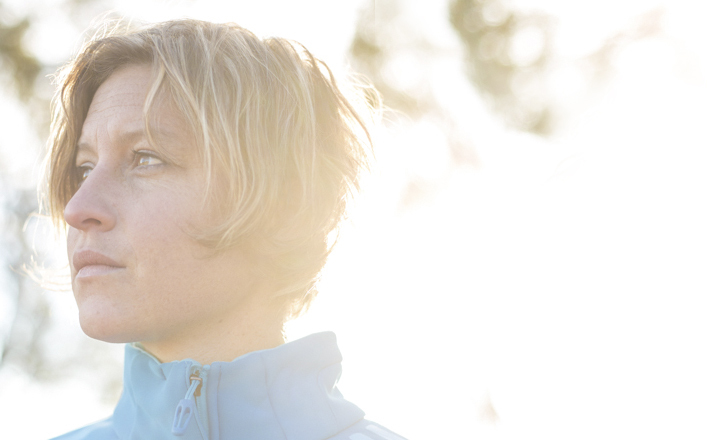 Rope-streatching, overhung limestone routes in Spain are calling my name. I feel ready to begin regaining my fitness, and sinking my teeth into a project.